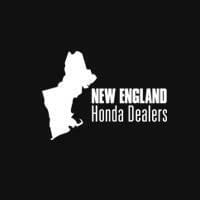 Over the years, Honda has earned a reputation for producing quality automobiles that are at the forefront of innovation. From loyalty accolades to value awards, Honda is honored to have its vehicles so highly regarded by our customers and the automotive press. Any car shopper that is searching for a crossover or SUV should check out awards for the CR-V, HR-V, and Pilot before purchasing a new vehicle. 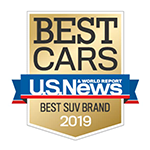 Honda was named the 2019 Best SUV Brand by U.S. News & World Report* for the fourth year in a row in recognition of its outstanding combination of quality and value. The 2019 CR-V* has been awarded the coveted 2019 TOP SAFETY PICK rating from the Insurance Institute for Highway Safety (IIHS) in recognition of its crash-safety performance. 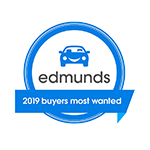 Honda cleaned up at the 2019 Edmunds Buyers Most Wanted Awards, with the CR-V earning the top spot in the Compact SUV segment. 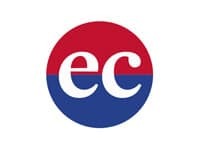 Plentiful storage, athletic handling and excellent crash-test ratings make the 2019 CR-V the 2019 Edmunds Editors’ Choice for Best SUV. The spacious yet sophisticated 2019 Pilot has been named Best Buy of the Year among Midsize SUVs according to Kelley Blue Book’s KBB.com,* marking four consecutive years of excellence. 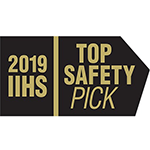 The 2019 Pilot has been awarded the coveted 2019 TOP SAFETY PICK rating from the Insurance Institute for Highway Safety (IIHS) in recognition of its crash-safety performance. The Passport was named Car and Driver’s Best Midsize Two-Row SUV*, proving that it has more to offer than any other SUV in its class. Based on IHS Markit US total new vehicle registrations of Crossover Utility Vehicles from 2008 through July 2018. For more information, visit Kelley Blue Book’s KBB.com. 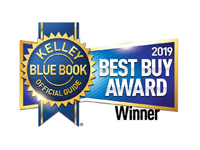 Kelley Blue Book is a registered trademark of Kelley Blue Book Co., Inc.  26 city/32 highway/28 combined mpg rating for 2WD LX trims. 25 city/31 highway/27 combined mpg rating for AWD LX trims. 28 city/34 highway/30 combined mpg rating for 2WD EX, EX-L & Touring trims. 27 city/33 highway/29 combined mpg rating for AWD EX, EX-L & Touring trims. Based on 2019 EPA mileage ratings. Use for comparison purposes only. Your mileage will vary depending on how you drive and maintain your vehicle, driving conditions and other factors. Award applies to Touring trim. 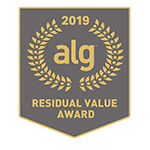 Based on ALG’s residual value forecast for the 2019 model year. 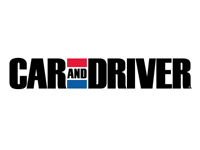 Car and Driver, April 2019.